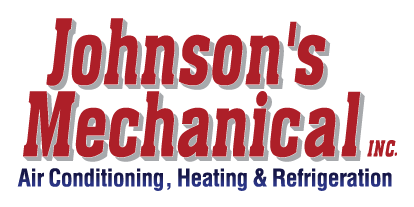 Commercial Ventilation, Auburndale, FL | Johnson's Mechanical Inc. Commercial Ventilation, Auburndale, FL | Johnson's Mechanical Inc. If you’re struggling with your commercial ventilation system in Auburndale, feel free to contact us at Johnson’s Mechanical Inc. for assistance. The ducts within your commercial building help to move air throughout the various rooms of the structure and back to the heating and air conditioning system to heat or cool the air. When the commercial ventilation system in your building can’t keep up with demands, you could notice some issues like weak airflow, warm air coming through the vents when the air conditioner should be cooling it down, or unpleasant odors when you run the HVAC system. In a commercial building, having proper airflow is critical to keeping a comfortable atmosphere. Some employee protection laws and regulations require employers to maintain certain conditions within their employees’ workspaces, so if your system isn’t working properly, you could end up having to close down the building until it gets repaired. One of the most important aspects of commercial ventilation maintenance is having the ducts cleaned regularly. This service can improve indoor air quality and reduce allergic symptoms among those in your building. If there is any excess moisture within the ducts, mold can grow and cause significant health problems. Duct cleaning can get rid of mold, dirt, dust, dander, pollen, and other contaminants that stay behind in the system. If you’re struggling with your commercial ventilation system in Auburndale, Florida, feel free to contact us at Johnson’s Mechanical Inc. for assistance. We offer a variety of services designed to improve the functionality of your heating and cooling system.